Can your child name all of the planets? Our solar system has been the source of amazement and wonder since the beginning of time. 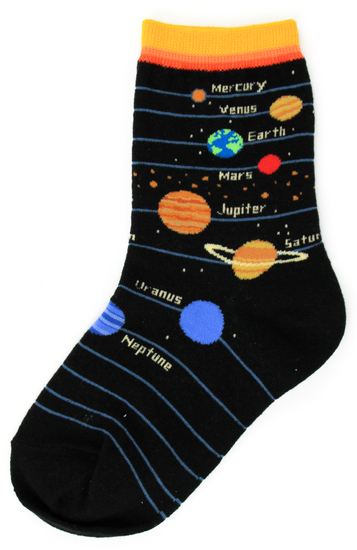 Your kiddo will love to learn the planets wearing these fun planet-themed novelty socks.